Co-facilitated by Live Auction Artist Julie T. Chapman and Silent Auction Artist Megan Buecking. Join us for this intimate gathering, featuring a mimosa bar and painting sessions with the artists. We will provide all art supplies, just show up and paint! Julie T. Chapman is a diverse artist working in scratchboard, oil and water media. 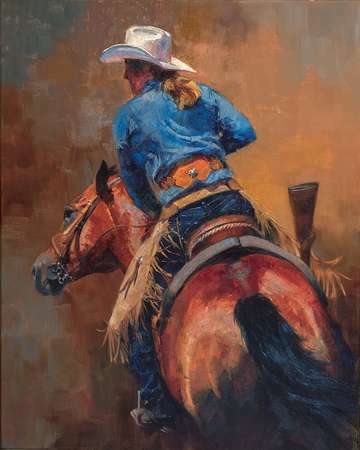 Her subjects include equine, wildlife and western riders. Megan Buecking is a local artist and the art teacher at Lone Peak High School in Big Sky.